È un documentatissimo saggio che delizierà i super-esperti ma che rimane pienamente accessibile e godibile anche per i lettori "normali", compresi i vostri genitori che leggevano il mitico Topolino da piccoli. Regalatelo per Natale! È un libro che verrà veramente goduto ed apprezzato. L'analisi delle storie è inserita nel contesto storico, sociale e culturale degli anni in cui queste venivano pubblicate ed ogni anno di produzione è accompagnato da un "sommario enciclopedico" che riassume i principali eventi nel mondo. Ai capitoli cronologici si inframmezzano poi saggi critici di respiro più generale, nonché uno studio biografico e le testimonianze gottfredsoniane di altri grandi maestri disneyani. ...E una cronologia delle opere mai vista prima! Il volume è anche il catalogo ufficiale della mostra itinerante dedicata a Floyd Gottfredson che ha esordito a Roma al Palazzo delle Esposizioni. 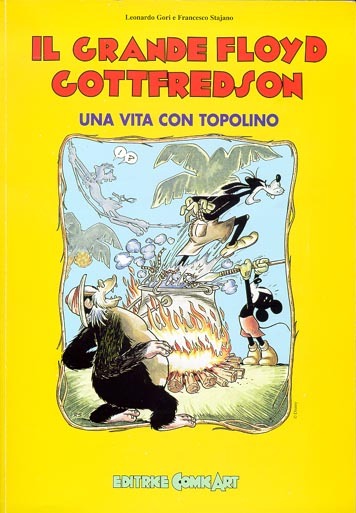 We have done our best to make this THE Italian book on comics grandmaster Floyd Gottfredson. Leonardo wrote the plan for this book just after we shipped the manuscript of our Don Rosa book a year and a half ago. The original agreement with the publisher was to bring it out for LAST November, but it was soon clear that this was too short a time to treat the subject with the depth it deserves. We have exactly recaptured the brilliant teamwork of the other book, beavering away for months with several e-mails a day and we are proud to say that this book is for us at least as good as the other. 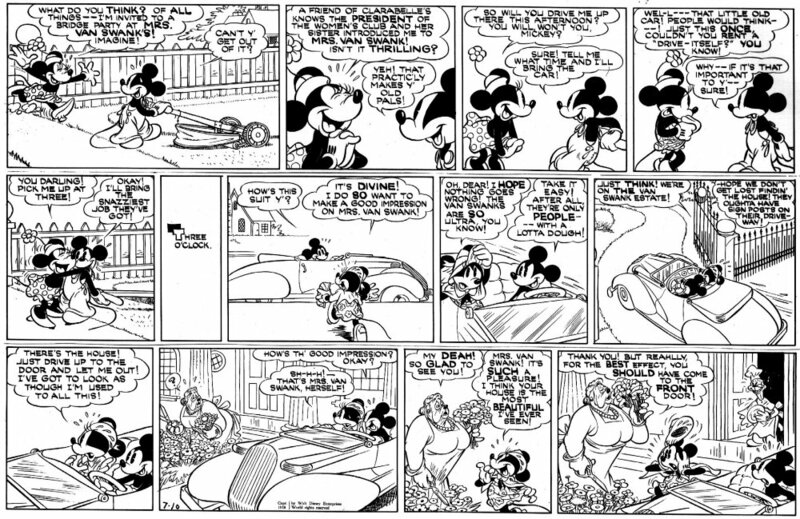 We missed not being able to interview Floyd Gottfredson (for obvious reasons) like we could do in-depth with Don Rosa. But... as we felt the book would be empty without this direct touch, we included the testimonials of our great friends who did. Unlike the well-known, excellent "Mickey Mouse in Colour" by Another Rainbow, our book does not contain any stories. 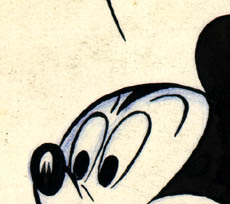 The whole book is dedicated to the in-depth exploration of Gottfredson's masterpieces. This is the book for readers who already HAVE the stories and who will enjoy the company of a friendly guide to visit them and discover their inner details and secrets. 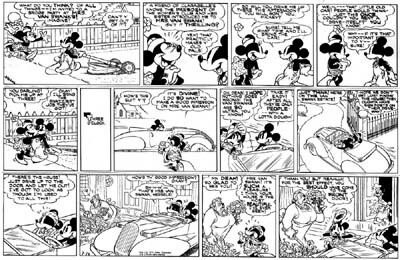 We have produced a fantastic Gottfredson timeline (in PostScript), the likes of which you have never seen: graphical, and day-accurate over 26 years. The chart, in English, will be available for free from here once the book is in print. We are hoping to be able to enclose a special poster version of it (with lots of illustrations) in the book. Many thanks to the great Marco Barlotti, of FSB fame, for invaluable help with data entry. 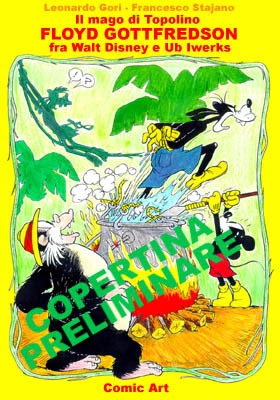 The book will be presented at Expocartoon in Rome (12 - 15 November 1998). 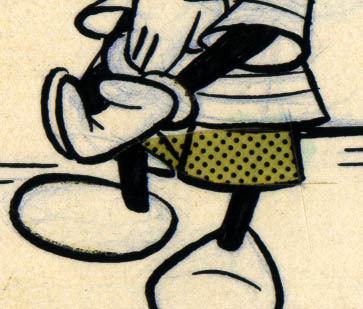 For that show, we have also organised a wonderful Gottfredson exhibition, of which the book is the official catalogue. It will feature a lot of exciting material including specials from Bill Blackbeard, founder of the San Francisco Academy of Comic Art. This is really not an ad but nothing more than an excited announcement from fans to fellow fans. As with the book on Don, we did it all for the love of comics and, to minimise the price tag, we are not taking any royalties on it. As all the work of the past year and a half is finally coming together, we are proud to be able to announce the happy news; and our only regret is that the book isn't in English -- though we tried... We hope you will like it as much as we do.